Metallica are among the headliners announced for the 2017 Lollapalooza festivals in South America. 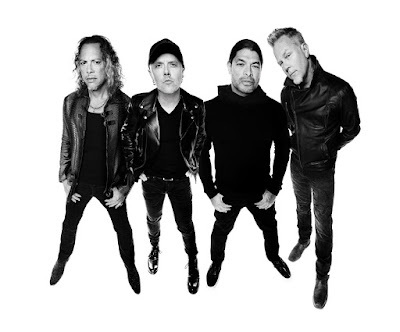 Playing in support of their forthcoming album, “Hardwired…To Self Destruct” - due November 18 - the metal icons will appear alongside fellow headliners The Weeknd and The Strokes at Lollapalooza events in Brazil, Argentina and Chile. Up next, Metallica will perform a pair of acoustic sets at Neil Young’s 30th anniversary Bridge School Benefit Concerts in late October before officially launching the first leg of the Hardwired world tour in San Juan, Puerto Rico on October 26.